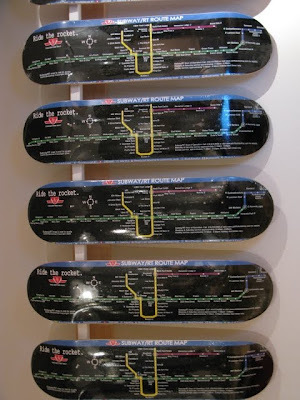 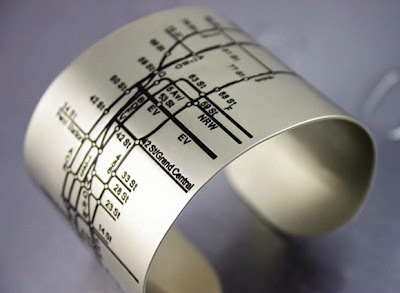 Collection of ‘Creative and Cool Subway Map Inspired Designs’ from all over the world. 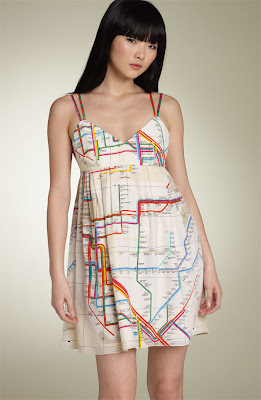 NYC Subway Map Dress: "Vintage New York City subway map provides a clever, colorful print atop a sweetly styled silk dress with a fitted bodice and full, pleated skirt." 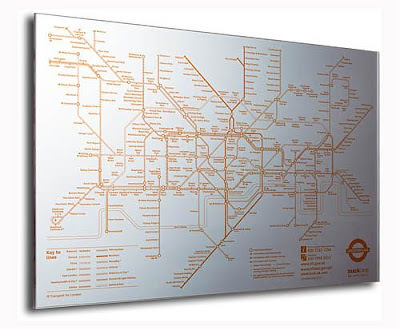 London Underground Mirror: It's a beautiful combination; underground London Map that can be viewed on a mirror. While getting ready to get out, you can plan your journey. NYC Metro Bracelet: "The subway lines, numbers, and streets are embossed into the surface of the metal." 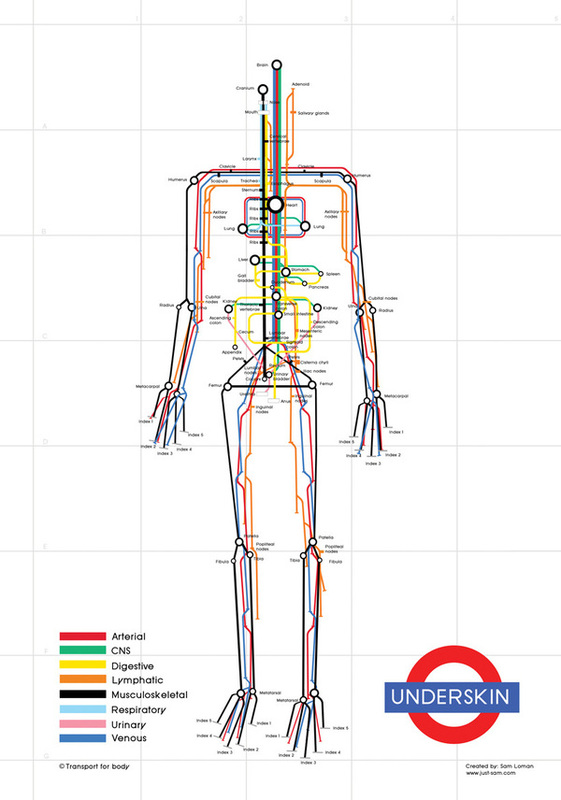 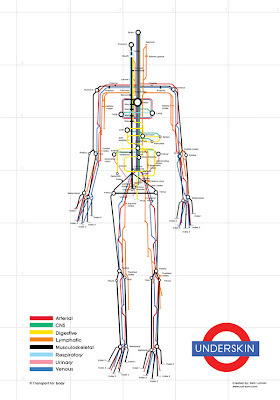 Underskin Body Map: Creation of S Loman, a map of the human body's systems using the style of a subway map. 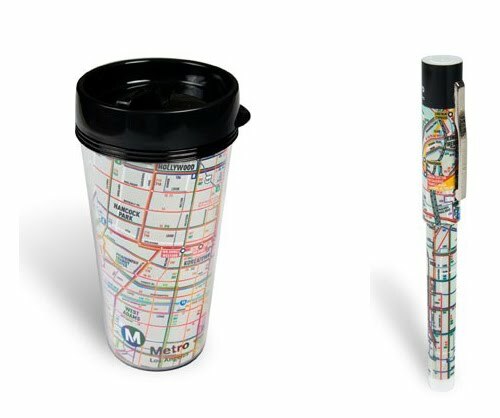 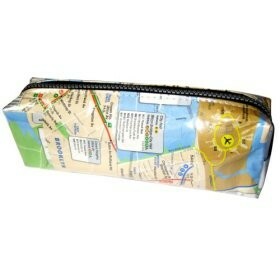 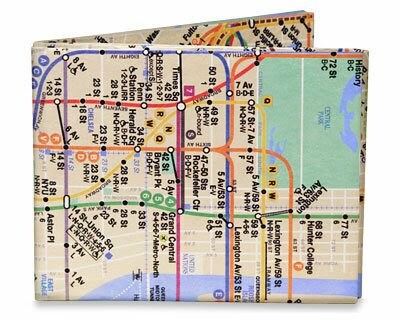 Subway Map Fold-Up Pocket Raincoat: "This raincoat folds up into a compact pocket with loop for easy travel and convenience." 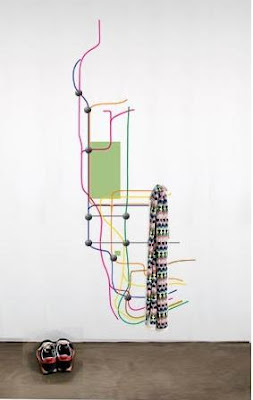 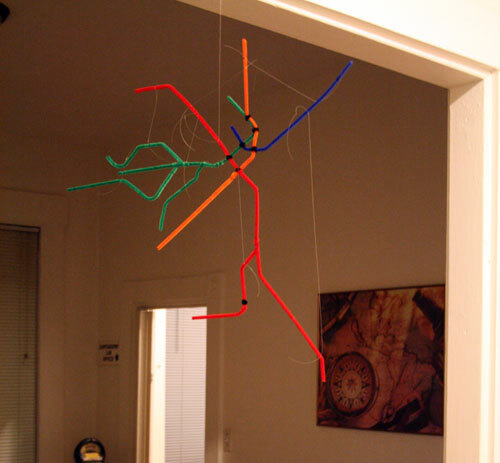 Pipe Cleaner Subway Map: A map of the Boston subway system made of pipe cleaners. 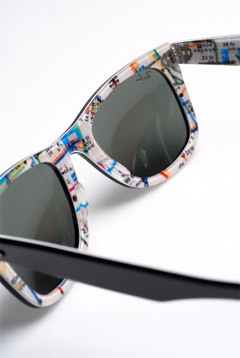 Rare Print - "NYC Subway" Edition: "These Rayban Wayfarer come from a special series by Rayban name "Rare Print". This is "NYC Subway" Edition. 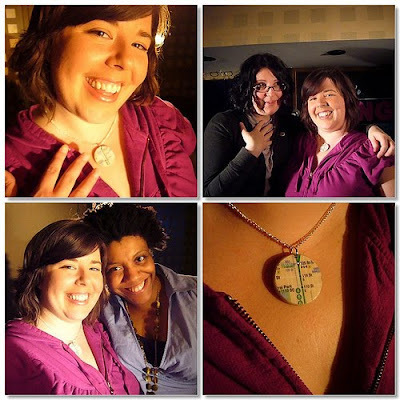 The Subway pattern on Wayfarer is a section of the New York City subway map." 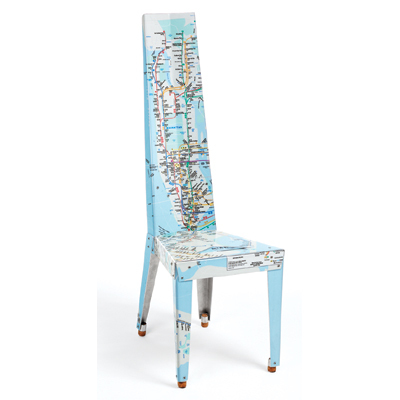 Subway Map Chair: Each of these chairs are one-of-a-kind work of art; these are hand cut and edges shaped and filed- the bends are done carefully by hand. 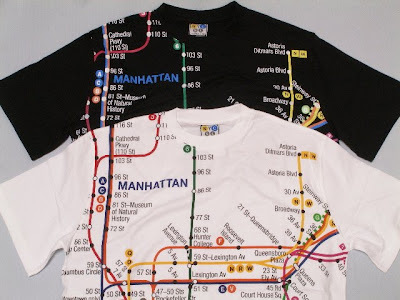 NYC Subway Map Hoodie: New York City subway map is imprinted on this hoodie. 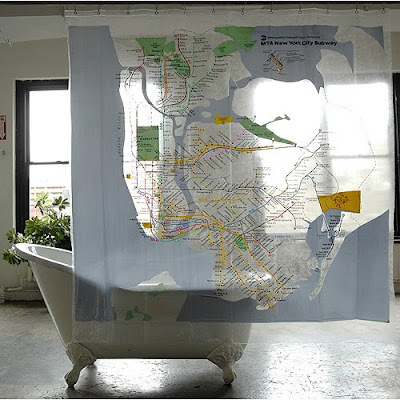 New York City Subway Tile: Illustrator Niemann while remodeling his bathroom took subway map to the next level. 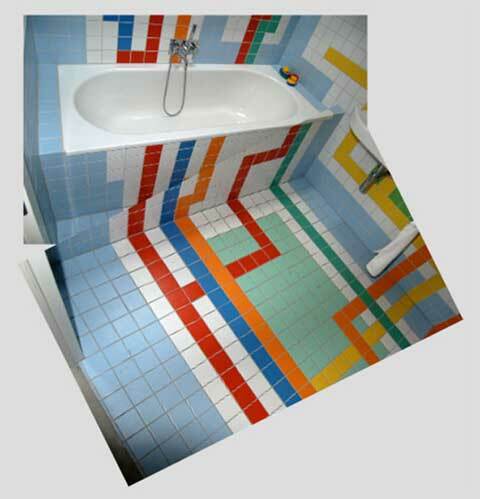 He used this map as an inspiration to tile his bathroom floors and walls. 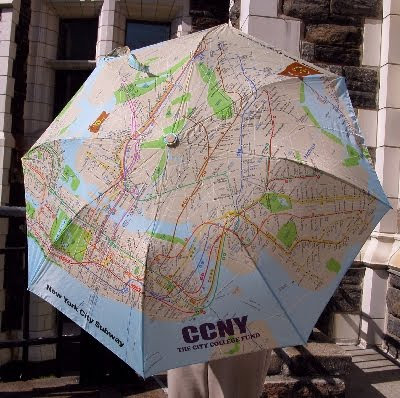 Clever and Creative Ads on Buildings.